MODULAR HOME BUILDER: Has Your Modular Home Factory Lost Its Sales Culture? Has Your Modular Home Factory Lost Its Sales Culture? Every modular home factory began with a sales culture. This disappointment breeds distrust. A division between the factory owners and the sales staff is never bridged which leads to slower sales grow than should be expected. The final blow comes when the owner’s dissatisfaction with the sales staff becomes so strong that it leads to failure. We have all seen many factories that once were market leaders fold because of falling sales. Who in upper management represents the sales team? The answer to this question will give you an idea of how strong your sales culture is. Most modular home factories have finance, HR, operations and engineering ahead of sales on the organization chart. Some companies do not have a career path for salespeople beyond sales manager. Not all salespeople want to move to upper management, but some do. They should know there is a career path into upper management. Salespeople want a (sales) representative in upper management, even if it isn’t them. A modular factory friend of mine told me, “There are two kinds of people in the modular home business; those that want to pay salespeople and those that don’t.” Is our compensation package clear and easy to understand? Can we explain our commission schedule in less than two sentences? Do modular home factories invest in their sales team? Education and training are important for our sales team to increase skills. Too many modular home factories confuse “product training” with “sales training.” Salespeople need to know their product, but must upgrade their sales skills to increase their sales results! Do we celebrate sales? What do we do for our top performers? What do we do if our entire team has a great sales month or year? 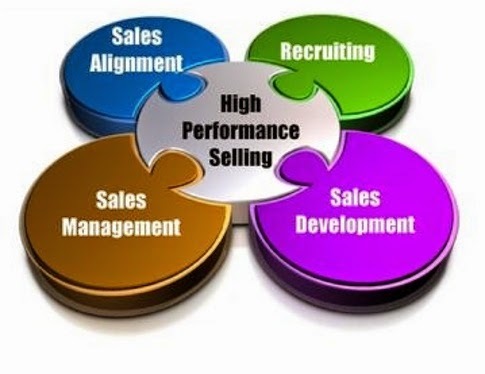 Great sales organizations post effort and result numbers publicly and weekly. Weekly posting of results will inspire our team to compete and win. Notice the word ‘effort’ in the publicly posted results. Number of new builders approached, first orders from builders, quotes worked, number of final plan drawings, etc have to be shown as well as signed contracts. Salespeople work for commission and recognition. Salespeople love to compete, so give them goals and reward the best efforts. Do this on a regular basis and change it so that each sales rep works on things outside their comfort zone. A strong sales culture helps you survive and thrive in competitive markets and helps you dominate and maximize in expanding markets. Curious - what do builders expect from factory reps? I read the comments about factory reps selling but to whom are they selling? Is not the builder the consumer sales representative who really is conveying the order of a HO purchaser to the rep? Should factory reps be the sales coaches for builder staff; or, product knowledge resources; or, market experts for each builder's market demographics? I agree that a rep should provide timely quotes, product and process details plus specifications but who really is the modular sales rep to the consumer and responsible for the growth of market share. Oh, I get it the rep should lobby for lower prices or detail how one factory's process or quirk in their assembly is better than the other factory. Maybe what builders want is a sympathetic ear for all the reasons why builders aren't succeeding against the nationals or "Joe" the pick up truck custom builder. My peeve isn't necessarily the rep but the quality and service after the delivery - Oh, right the rep needs to fix this without the authority or ability to change the factory culture.